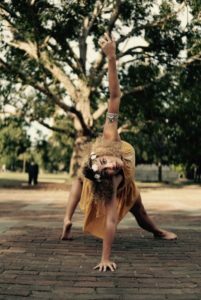 Alexandria “Allie” Williams is more than just a dancer. 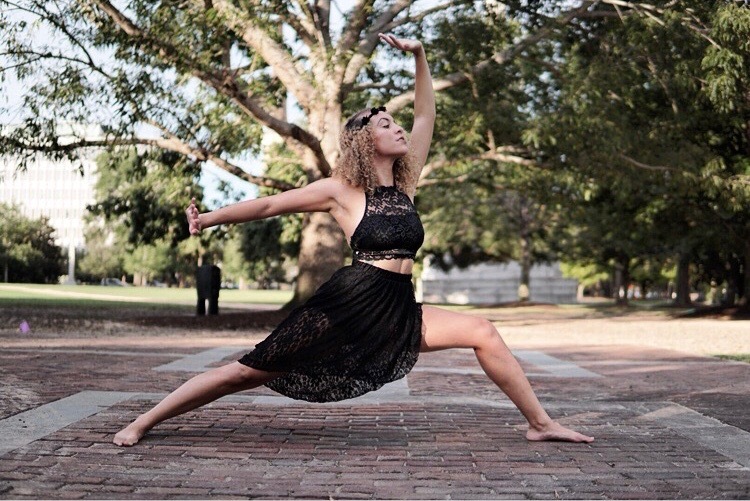 Hailing from Charleston, SC, she contributes her skills of being a choreographer, director, and teacher to all ages of recreational and competitive dance. How you became a dancer? I started dancing when I was 6 and didn’t know where dance would take me. When I was 15 years old and accepted into a ballet conservatory, I knew dance would be my life and couldn’t picture myself doing anything else. 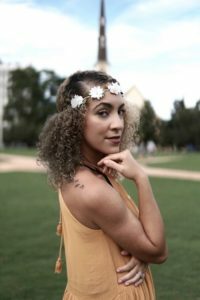 Moreover, I graduated high school a year early with honors and moved from a small town in Texas to Charleston, SC to pursue a professional career in dance. What are your special dance techniques? When I’m choreographing a piece, I start with an improv session. I’ll set up my tripod to record myself and pull different movements from the session and create choreography. Tell us about your favorite dance performances. My favorite dance performance was last season when “Holy City Sirens” performed during “Charleston Fashion Week”. We opened the fashion show for the designer and performed on the runway. That was a pretty cool opportunity! Tell us about your dance-related guilty pleasures. I always grab Starbucks on the way to dance. Whether it be on the way to a performance, rehearsal or to go teach at the studio. People always ask how I can drink a Venti Latte right before I dance! What are your favorite parts about dancing? To me dance isn’t just a job or a hobby. It is a way of life and completes my soul. Most importantly, dance taught me compassion, commitment, strength, vulnerability and patience. Additionally, it has made me a well rounded person. Further, I found growth in myself and shared that with others to help them grow as people. Tell us about the worst tips you have received in dance? As an instructor, I believe dance vocabulary is just as important as technique. When you can understand the meaning of a word, action and initiation of the movement, you have a better understanding. Also, I once worked for a director that didn’t quite see eye to eye with me on that and told me to start teaching the dancers that the word “Pique” meant to “Tap” (insert eyeroll here). However, I am a vocabulary snob and we should all know that is not the correct meaning of that term. What distracts you from your craft? In the dance industry, being married and being a mother to a 3 year old is definitely hard sometimes. Managing my time and working late nights at the studio can be difficult. Above all, I wouldn’t say family life is a distraction. It can just be tricky to juggle it all sometimes, but I wouldn’t have it any other way. What dancers have inspired you? A few of my favorite dancers right now are Isabelle Capitule, Autumn Miller, Galen Hooks and Jade Chynoweth. My future goals is to continue to grow as a dancer and choreographer. Also, I want to inspire others by setting a high example of professionalism and self worth. What advice you will give to girls starting in dance? My biggest piece of advice to give is to not let the fear of failure prevent you from trying. When you stop trying, you stop changing. When you stop changing, as a result, you stop growing. Furthermore, don’t let yourself become a stagnant dancer. For instance, you don’t always have to dance “safe”. In other words, take risks and take chances. Finally, let yourself feel vulnerable. Thanks. Still got nothing. I’ll keep checking.